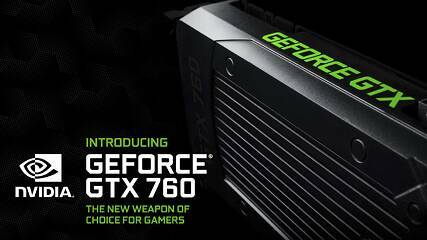 Unlike the GeForce GTX 770, which has a curious lot in common with the GeForce GTX 680, except higher clock speeds and GPU Boost 2.0, the GeForce GTX 760 features a core configuration never implemented on a retail SKU. It's based on the same 28 nm GK104 silicon, but features just six of the chip's eight streaming multiprocessors, which translates into a configuration with 1,152 CUDA cores and 96 texture memory units (TMUs). Unlike with the GTX 660 Ti, NVIDIA left the memory and raster operations subsystems untouched, giving the chip a 256-bit wide GDDR5 memory interface and 32 ROPs. 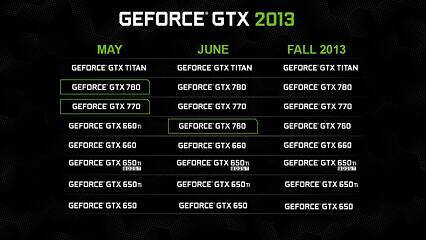 The chip features new GPU Boost 2.0 technology which takes temperature into account, alongside power and loads. If the GPU is cool enough (under the 80°C mark), there's greater opportunity for the GPU to run boost frequencies at load, and therein lies the incentive to opt for custom-design graphics cards with competent cooling solutions. The memory is clocked at 6 Gbps, yielding a decent 192 GB/s of memory bandwidth, a 33 percent increase over the GTX 660 Ti and GTX 660. 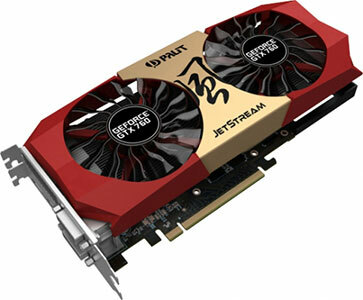 In this review, we take a close look at the Palit GeForce GTX 760 JetStream. The card combines a non-reference PCB that makes use of DrMOS chips and the same twin-fan JetStream cooler we got to see on GTX 660 Ti and GTX 670 JetStream cards from the previous generation, albeit with a cheesy paint-job that you'll either love or hate.